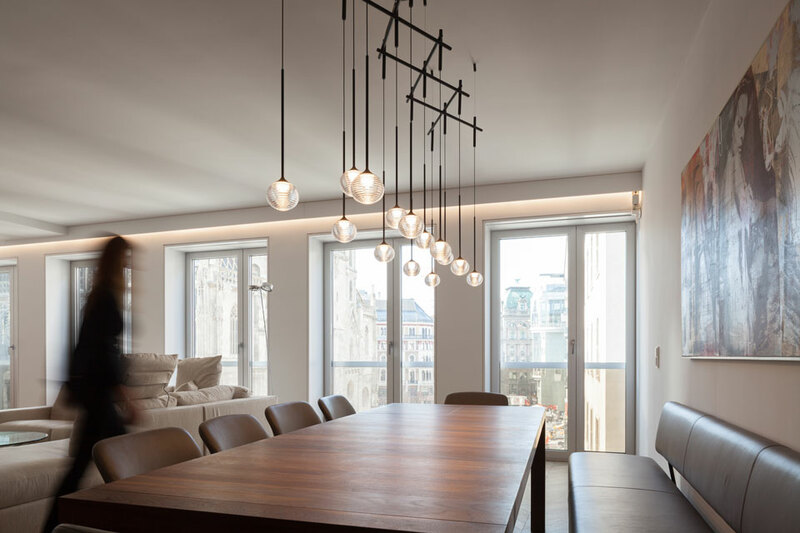 Dining areas are just as different as the homes they occupy and call for personalized lighting to accentuate their unique aesthetic. 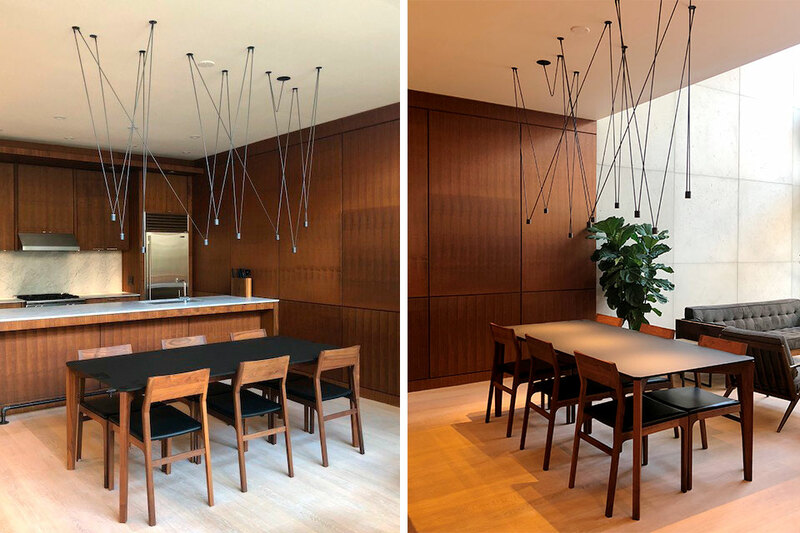 Here, we showcase three projects that utilize Vibia custom designs to striking effect, creating a brilliant backdrop for a range of dining rooms. 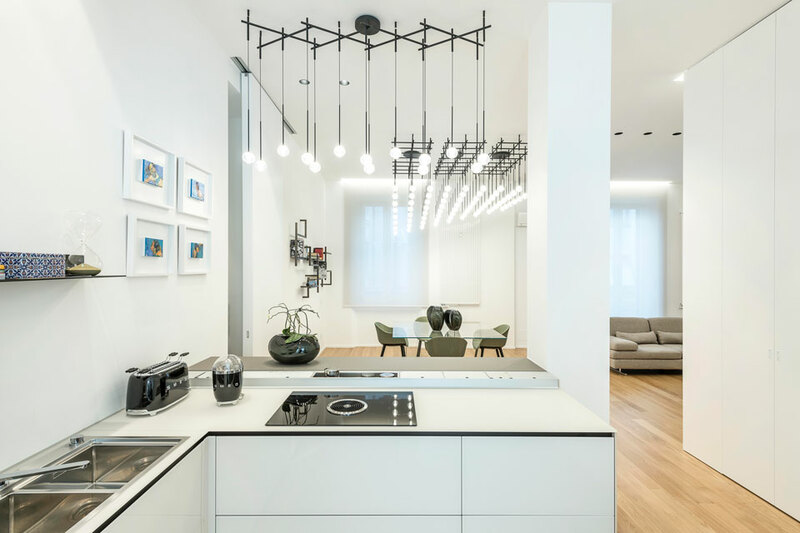 In a loft-like Toronto home, architectural firm Project1 Studio selected the Match pendant to highlight their dining space and separate the kitchen on one side from the living area on the other. The bespoke silhouette features three clusters of Match’s metal rods—one over each chair. 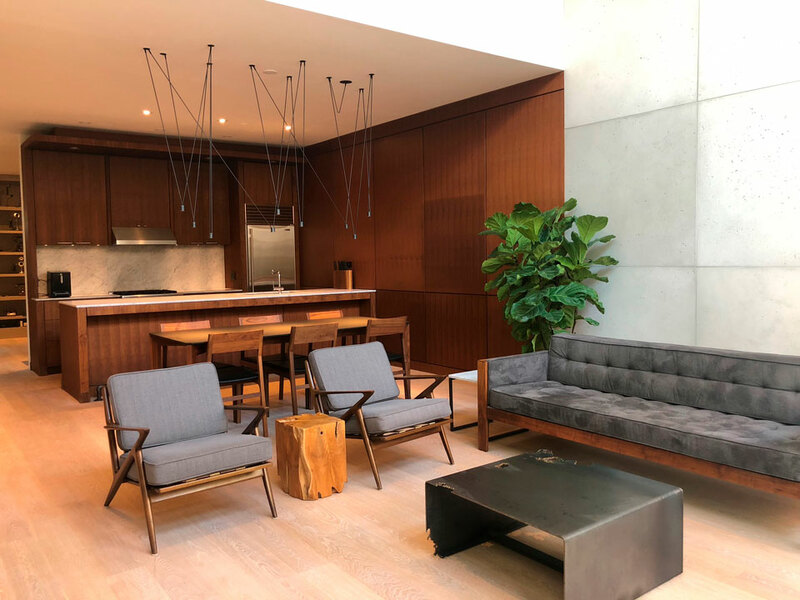 With the prime feature of the midcentury-modern residence a large bank of windows overlooking the yard, the pendant’s airy architecture proved ideal. 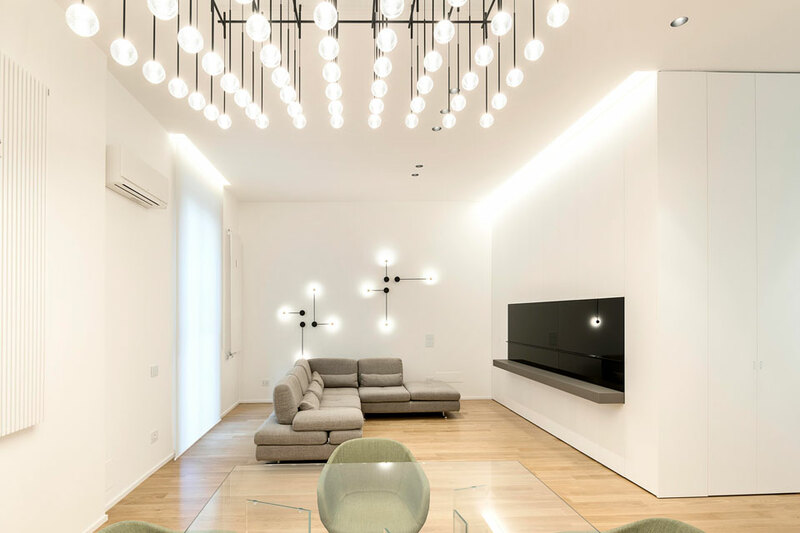 Recalling a constellation of illuminated drops that appear to float in space, the hanging lamp forms a striking focal point that’s perfect for this multifunctional interior. 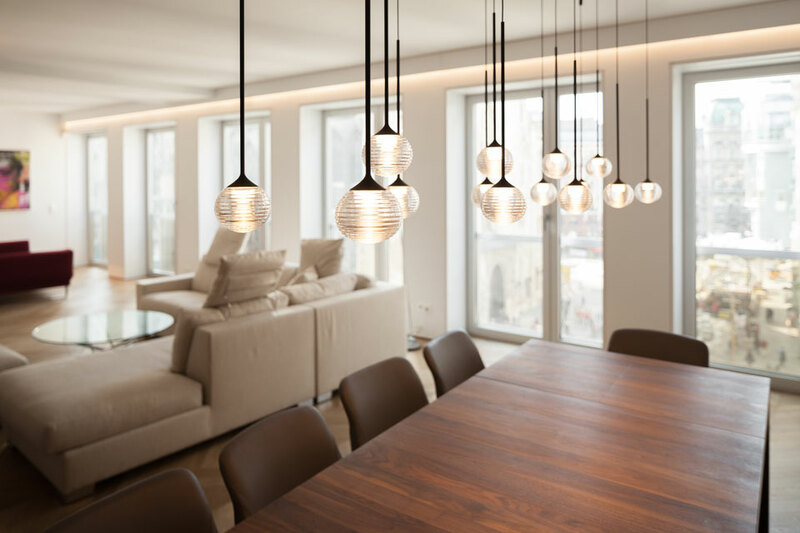 Arranged to span the length of the table and thereby framing the space, its hand-blown glass LED-powered spheres are positioned at different heights for a dimensional feel. 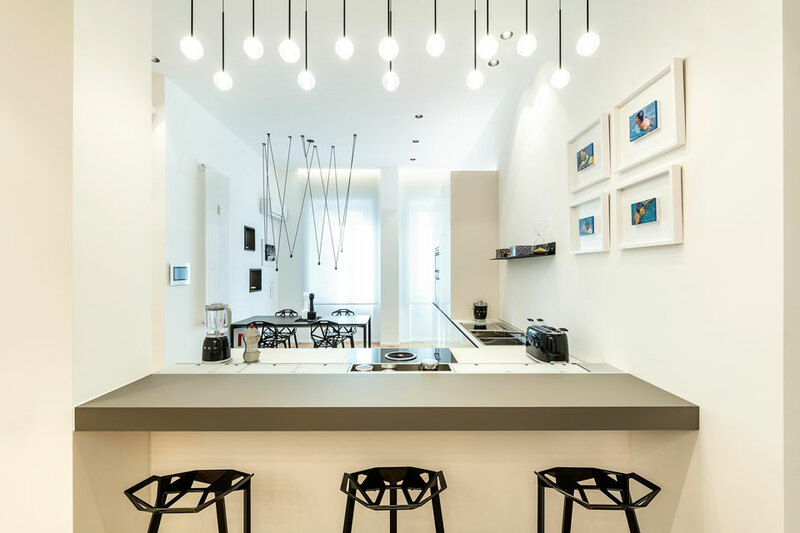 At the opposite end of the room, the Match pendant, designed by Jordi Vilardell and Meritxell Vidal, delineates a more formal dining space. The customized cluster of jagged rods tipped with LEDs points directly downwards, emphasizing the compact table below. Its striking silhouette doubles as dramatic décor without blocking the light from the nearby window.